Easy To Fill The Month With Fill Function!! With this function you can easy to fill the Month automatic . To use this function you must apply the "first" Date that you want to use this function for start . After high light the coloum you wish to apply these function and bring them down until the date you want to stop . 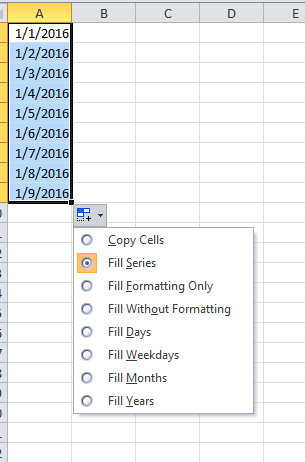 Then right click and choose the pop-out "Fill" function and choose the function of month to apply the formula. Now here was the result after the work done .